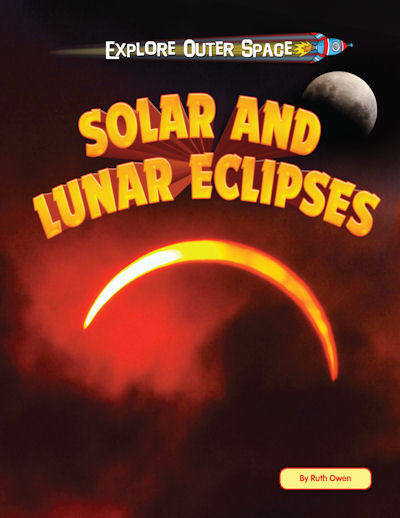 This book looks at solar and lunar eclipses, providing background information about the Sun, the Moon and our planet. 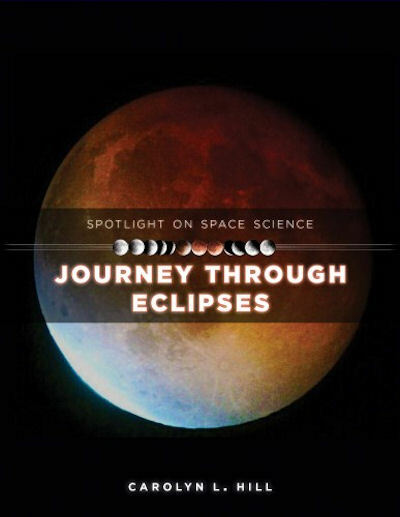 The book covers what an eclipse is, what eclipses can look like, how they happen, the effects on wildlife, what people thought of eclipses in the past, how they are studied today, and about eclipses on other planets. A fun activity is provided along with advice on viewing eclipses. Beautiful photographs and simple text help to engage readers and aid their understanding. One of the most beautiful natural phenomena we can see here on Earth is that of solar and lunar eclipses. Through perfect orbital timing, these events can cause the Sun to disappear and darken the sky in the middle of the day or even to create an eerie red glow seemingly by magic. This book strips the magic away to provide the space science behind these incredible events. 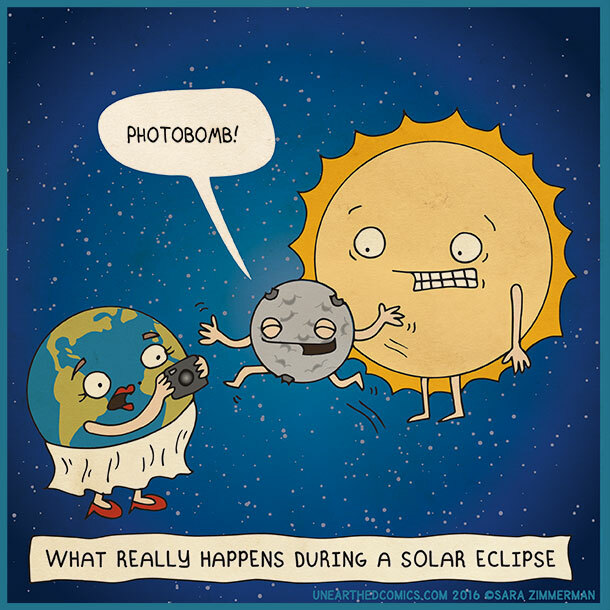 Solar and lunar eclipses have both frightened and fascinated humans for thousands of years. Perhaps it’s because they are one of the few events in the universe that can be seen so dramatically from Earth. 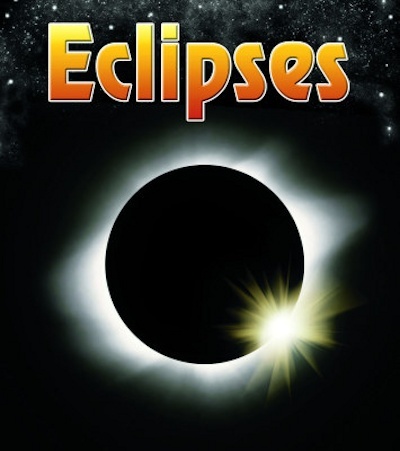 This exciting and informative book describes what happens during an eclipse and why. Readers will delight in the clear easy-to-understand text and vibrant photographs. Readers discover the difference between natural and human-made satellites in this entertaining volume. 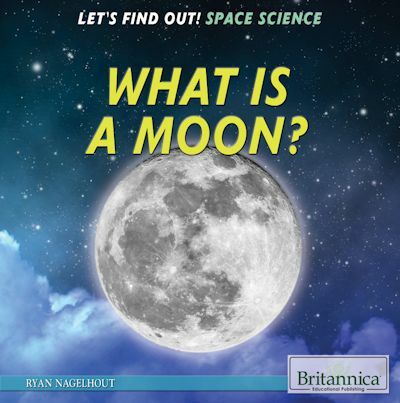 The narrative reveals fun facts about various moons in the Earth's solar system, such as Earth's moon and how it might have been formed, the moons of Mars, Jupiter, Saturn, Uranus, and Neptune, and those of the dwarf planet Pluto. It also explains the terms "orbit," "spin," "rotation," and "eclipse." The volume provides Think About It boxes to pose questions for readers' consideration. There are also vocabulary boxes and Compare and Contrast sidebars to engage readers' intellect. When a solar or lunar eclipse is approaching, people excitedly prepare to watch the enthralling events. They're just small reminders that other celestial bodies are out there. 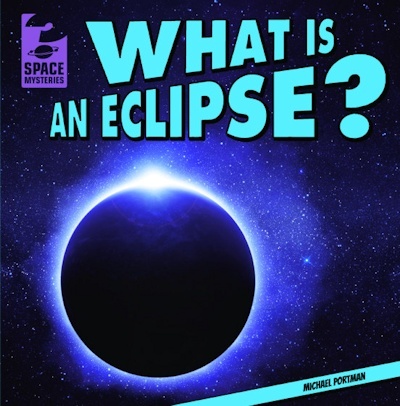 In this book, readers will learn with the help of diagrams and key science vocabulary how eclipses happen, when they can expect them, and the differences between partial and full eclipses. Fun facts sprinkled throughout the text will encourage stargazers to mark their calendars for the next eclipse. From extreme heat to extreme size, the Sun is the center of our solar system and the reason we’re able to call Earth our home. 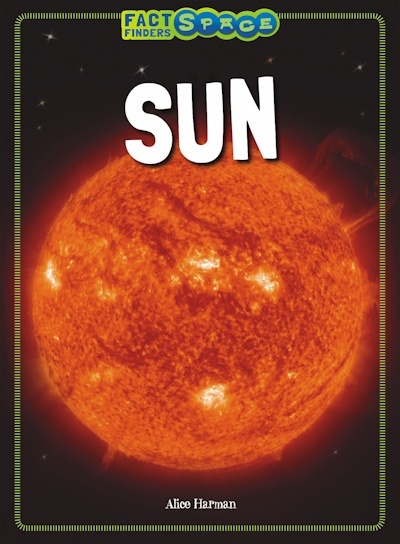 In this book, readers will learn how the Sun affects Earth’s seasons, how it gives us light and heat, and what happens during a solar eclipse. A colorful design and fun fact boxes will catch readers’ eyes, while informative yet manageable text sheds light on the many mysteries of the Sun. This sizzling look into the Sun will excite even the most reluctant readers. Astronomy is both a study and a skill, and both aspects of astronomy are thoughtfully presented in this beautiful volume that encourages readers to look to the sky. Even though our universe is vast, readers can travel to points around the solar system and galaxy through the stunning photographs and illustrations on each page. They’ll understand key points about space science through 100 interesting and accessible facts and hone their understanding through fun quizzes and activities, including making a sundial and demonstrating an eclipse for themselves and their friends. In a series of fun and involving hands-on astronomy experiments, kids learn how space acts as a heat shield, what causes Saturn's rings, why both Earth and Mars have cold poles, how to make a star projector, and why the moon shines. They will also determine and demonstrate how the thickness of the atmosphere affects how light is bent, how to simulate solar and lunar eclipses, and how to aim a spacecraft to the moon. 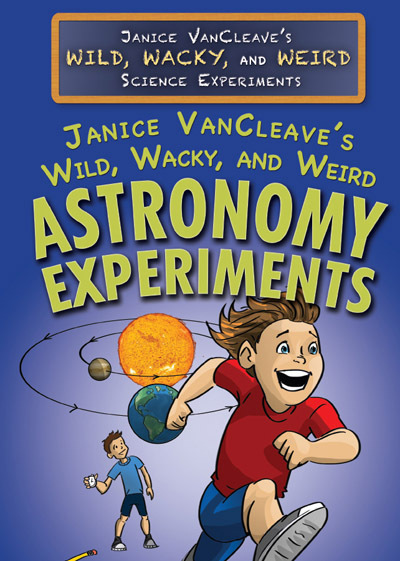 Featuring color illustrations and safe, simple step-by-step instructions, Janice VanCleave again shows just how much fun science can be. Discover planets spinning through space or the inner mysteries of the earth. A universe of ideas are waiting to be explored with this brilliantly colored educational set. 11" Earth core with information, shuttle, lander and astronauts, 20" solar and lunar eclipses, 9 planets. 26 pieces, 12 page lesson guide. You can discover even more great titles - here! to be taken to the Earth and Space Science Category! You can also visit the A Universe of Stories Summer Reading Selections - here! Then choose A Universal Story to see juvenile selections- here! A Universal Story: Teens for teen selections - here! Support Materials for Puppets, Puzzles and More that fit with A Universal Story - here! Finally, the iRead- It's Showtime at Your Library! selections can be found - here! too! 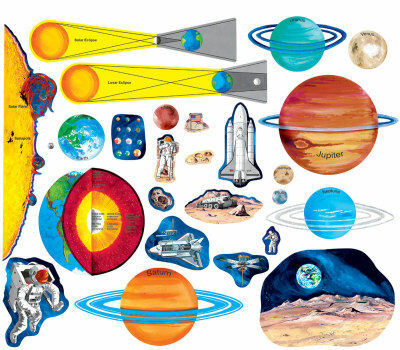 Resource Courtesy of ClickSchooling: Cool Cosmos: Grades K-9 with Parental Supervision. At this website, NASA scientists and astronomers at the Infrared Processing and Analysis Center and the SIRTF Science Center answer kids' questions about the universe in entertaining video format. Plus, the site provides free classroom activities, lessons, tutorials, image galleries, games, and resources that can be used to sate the curiosity of anyone interested in learning about the universe. Discover the Cosmos! Each day a different image/photograph of our universe is featured, along with a brief explanation written by a professional astronomer-here! The Kids Know It Network has a ton of free Astronomy songs to listen to! -here! -- This wonderful resource also has Astronomy posters to download and print! -here! -- You can find Astronomy worksheets -here! 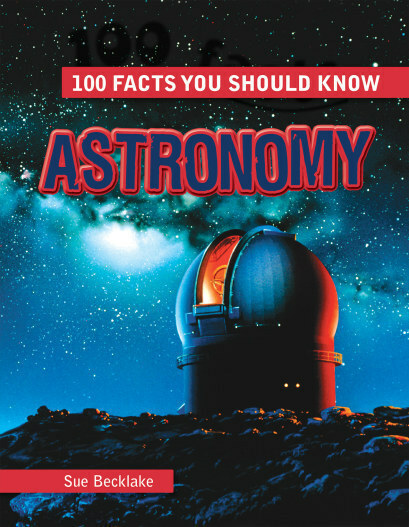 Kids Astronomy via the Kids Know it Network has a wealth of Universal resources as well! -here! Astronomy for Kids has free games, fun facts, videos and much more! -here! Planets for Kids is a FREE Astronomy Network for Kids! Find out more -here! NASA Kids' Club! Find out more -here! FREE Astronomy PowerPoints for Kids and Teachers! -here! Cosmos for Kids! Is a great resources for all sorts of Space Resources! Find all of the topics -here! Common Sense Media has a wonderful list of kid appropriate and kid approved Solar System/Astronomy Apps! Find out -here! Duckers Educational Site has great information on Astronomy for Kids -here! Create your own Word Search Puzzles via the Discovery Education Puzzlemaker - -here! Free Solar System Trading Cards can be found -here! Watch "What an Astronaut's Camera Sees" -here! Eclipse Animations by Rice University.